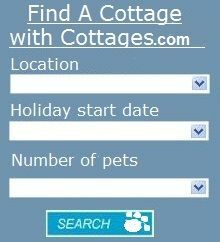 Pet Friendly Holiday Rentals in Cornwall Padstow. 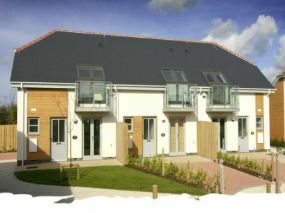 Bay Retreat Villas is a stunning development of twenty-eight stylish and contemporary holiday villas set within the St Merryn Park. 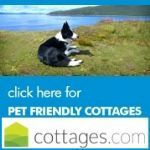 These dog friendly villas are located on the outskirts of St Merryn, just three miles from Padstow and close to seven spectacular bays. 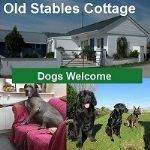 Are dogs welcome at Bay Retreat Villas Padstow? Yes. 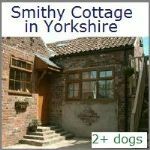 They actively welcome owners with dogs, up to 2 per cottage and have a dog exercise area as well as enclosed gardens. 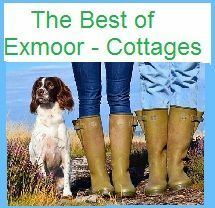 St Merryn is about a mile from the holiday villas where the amenities include a shop, several restaurants and pubs - including The Cornish Arms where Rick and Jill Stein are the landlords! 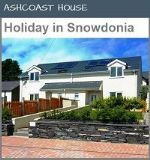 Each self catering property has two bedrooms on the first floor and on the ground floor there's a kitchen and lounge/ diner. Private garden with furniture, plus a timber decked terrace leading onto small lawn, or a gravel area. Gardens enclosed. 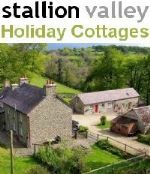 Local Area - There are many lovely walks in the surrounding countryside and immediately behind the villas. There is a dog walking area where dog waste bins are provided. 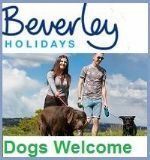 Bring your pet on holiday and treat them and yourselves to a welcome break. There are several nearby beaches which allow dogs year round, the nearest of which is Constantine Bay, approximately 3 miles away. 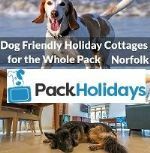 Other nearby year-round dog friendly beaches include Daymer Bay, Harlyn Bay and Treyarnon Bay. 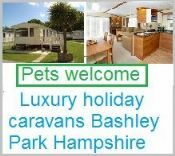 Facilities - Linens provided - Small Children welcome - No Smoking - Not Disabled accessible - Off road parking - TV - DVD - Microwave - Freezer - Washer Dryer. Payments: Visa, Mastercard, Debit cards & cheques. Outdoors: enclosed private garden leading onto small lawn, or a gravel area. walks nearby.